The New England Patriots spent a first- and third-round pick to get Brandin Cooks from the Saints last offseason, and now they’ve dealt the receiver (along with a fourth-round pick) to the Rams in exchange for a first- and sixth-rounder. That was fast! 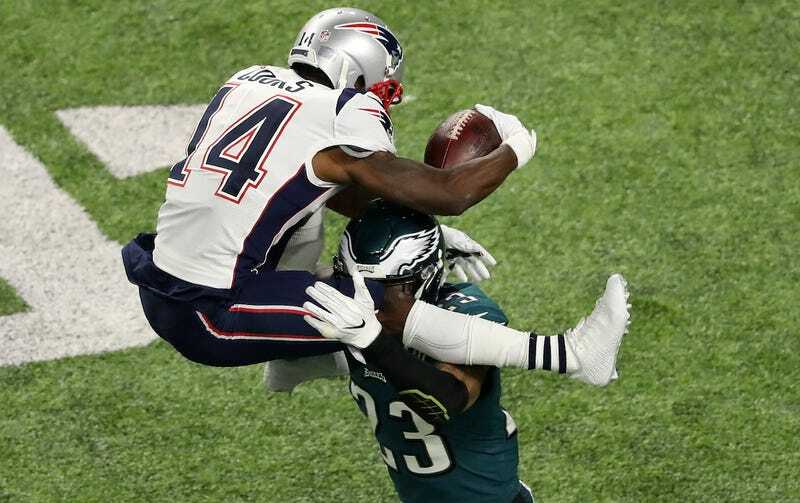 While the Patriots handle Rob Gronkowski’s possible disenchantment with football, they’ll ship out one of their best receivers. They still have Phillip Dorsett, Cordarrelle Patterson, Kenny Britt, Malcolm Mitchell, and Julian Edelman, who’s recovering from a season-ending knee injury. Cooks is in the last year of his contract, so the Rams must be confident they’ll sign him to a long-term deal if they’re giving up that much for him. The Rams, who no longer need to pursue Giants WR Odell Beckham Jr., have acquired the following players this offseason: Marcus Peters, Ndamukong Suh, Aqib Talib, and Cooks. Dream-team rosters have gone horribly wrong before, but that’s a startling amount of talent.